As the popularity of plastic surgery grows, more New Jersey men are finding it socially acceptable to enhance their appearance with cosmetic procedures. At Contemporary Plastic Surgery, we offer a full menu of options designed to meet the needs of our male patients. Liposuction, abdominoplasty, gynecomastia surgery, and facial rejuvenation procedures are available at our East Brunswick and Red Bank locations. These are safe and effective ways to take charge of your appearance. Gynecomastia is another term for enlarged male breasts. The condition usually develops during adolescence. Gynecomastia is partly hereditary, but there are many potential causes, including obesity, puberty, hormone deficiencies, various prescription medications, anabolic steroids, and liver malfunction. Whatever the cause of gynecomastia, it can be responsible for real and profound psychological distress and physical discomfort. Male breast reduction is a surgical procedure designed to correct gynecomastia. 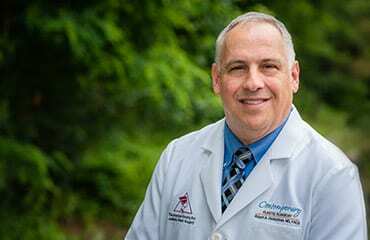 After an examination to determine how much excess fat and glandular tissue is present, Dr. Herbstman develops a treatment plan. He will surgically remove any excess tissue and skin, tightening and lifting what remains to give the chest a traditionally more masculine and better-defined physique. In cases of obesity caused gynecomastia, this procedure is usually part of a more comprehensive post-weight-loss body contouring procedure. Gynecomastia surgery often includes liposuction to remove excess fatty tissue. Liposuction, the surgical removal of excess fat deposits, is one of the most powerful and flexible plastic surgery procedures available. Dr. Herbstman can use liposuction to reveal and accentuate a man’s muscles for a sculpted, toned look that is difficult or impossible to achieve without surgery. Using power assisted liposuction (PAL) technology, it is possible to remove fat from almost any area of the male body. The abdomen, chest, legs, hips, buttocks, and arms can all benefit from liposuction treatment. In many cases, liposuction is even an effective way to achieve facial rejuvenation: removing fat from around the chin, neck, and jowls can create a striking, chiseled jaw line. This treatment can be performed by itself or as part of other facial plastic surgery. Liposuction is performed through tiny incisions concealed in the natural skin creases, making the scars very inconspicuous. Dr. Herbstman inserts a suction tube, gently removing deposits of fat to create the desired effect before closing the incisions. New Jersey patients experience some minor swelling as the body adjusts to its new shape over the following weeks, but are soon able to return to normal daily activities. Many men are self-conscious about love handles or excess belly fat, but are unable to rid themselves of the problem despite a disciplined diet and exercise plan. Worse yet, even after losing the excess weight many men find that they are left with excess skin that simply cannot be addressed through exercise. Often, the answer is a tummy tuck. Also known as abdominoplasty, a tummy tuck is the most effective way to surgically remove stubborn fat and excess skin from the abdomen. During abdominoplasty, it is also possible to tighten the abdominal muscles, helping our New Jersey male patients achieve a toned, muscular body contour. To perform abdominoplasty, Dr. Herbstman makes an incision at the pubic hairline extending from hip to hip and removes excess skin before repositioning the abdominal muscles. Finally, he stretches the skin down to fit the new shape of the abdomen. A man’s thighs and arms sometimes develop fat deposits and loose skin over time as a result of fluctuating body weight. For New Jersey men who want to increase the definition of their thighs or arms, we offer both thigh lift and arm lift. Through well-concealed incisions, Dr. Herbstman removes excess fat and skin to reshape the arms or legs for a more attractive shape accentuating muscle definition. Many men suffer from premature aging symptoms on the face. Frown lines, wrinkles, and hooded brows can create an appearance of age, stress, and fatigue. A facelift targets sagging skin and wrinkles throughout the face, lifting and tightening the skin and muscles for a refreshed appearance. For New Jersey patients concerned exclusively with hooded brows and frown lines in the forehead, a more localized brow lift is also available. Over time, some men tend to develop eyebags and sagging eyelids as a result of stress and fatigue. Eventually they can create a premature appearance of age and even begin to obstruct the peripheral vision. Male eyelid surgery is a procedure to restore the eyelids to normal appearance and function. Using local anesthesia, Dr. Herbstman can remove excess skin and other tissue, giving the face a refreshed, well rested appearance. Skincare is not just for women! Maintaining a youthful appearance begins with the condition of the skin. The first signs of aging manifest on the face. At Contemporary Plastic Surgery, we offer skin care options that can help any patient get their skin into shape and keep it that way. Our prescription skincare products can help our New Jersey patients improve their appearance. We have everything needed to achieve and maintain a healthy, energetic look. As we age and lose volume and fat in our faces, we begin to see well-earned wrinkles and folds. For the treatment of deeper wrinkles or folds, we recommend BOTOX® Cosmetic and injectable fillers for a minimally invasive facial rejuvenation. We carry a variety of injectable fillers to suit each individual’s needs. 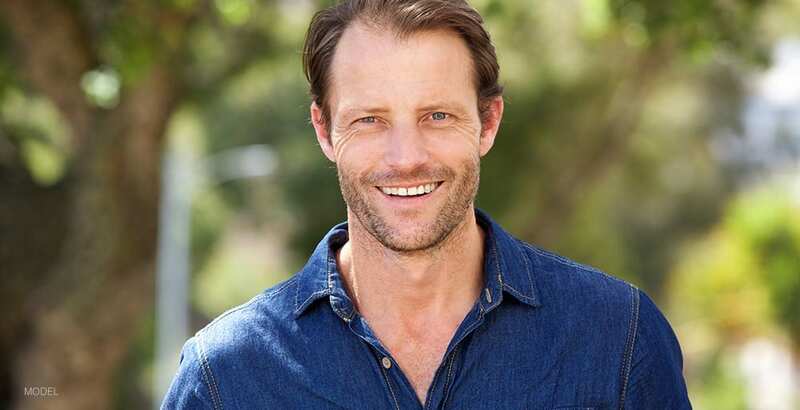 In addition to injectable treatments, many men undergo treatments including Ultherapy® and microneedling with Réjuvapen to tighten skin, improve its tone, and even reduce the appearance of some scars. Combine good skincare and injectable fillers and everyone will notice, but no one will know why you look so good. These treatments are subtle enough even for men. Men who desire a more prominent chin and a well-defined jawline are turning to KYBELLA, the “double chin shot” that reduces the fat below the chin. This popular, non-surgical option is approved by the FDA specifically to minimize a double chin. Excellent results usually appear after 2 to 4 treatments. Dr. Herbstman takes a personal approach to the care of his male patients considering plastic surgery. Request a consultation online or contact our office in East Brunswick and Red Bank, New Jersey to get started.